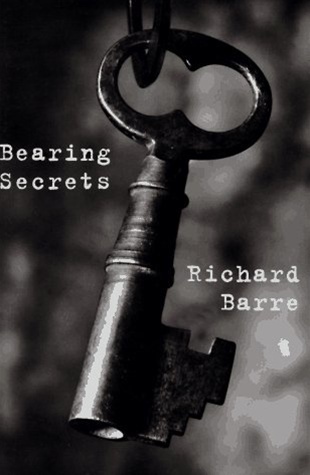 VJ Books Presents Author Richard Barre! 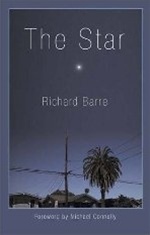 Richard Barre was born in Los Angeles and raised in California. He is the author of The Innocents (winner of the Shamus Award for best first P.I. 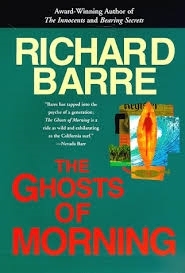 novel), Bearing Secrets, The Ghosts of Morning, Blackheart Highway, Burning Moon, Echo Bay, The Star, Bethany, Wind on the River, Lost, and Christmas Stories (a collection). Prior to writing crime fiction and short stories, he was creative director and copywriter at his own advertising agency and wrote and edited travel publications. In addition to his writing career, he is currently owner, art director, photographer, copywriter, and chief bottle-washer of an eBay business (route343) offering historically accurate 1:18 scale model race cars, a passion. He lives in Santa Barbara. Author Signed Hardcover Book 1996 NY: Walker First edition, first printing, mint, new/unread, flawless dust jacket, signed by author. Each dust jacket is protected in an acid-free archival quality acetate cover. 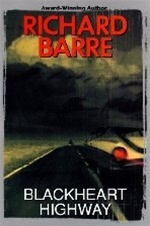 First Edition Hardcover Book 2003 CA: Capra Press First edition, first printing, new/unread, no dust jacket as issued. Author Signed Hardcover Book 2003 CA: Capra Press First edition, first printing, new/unread, no dust jacket as issued, signed by author. Author Signed Hardcover Book 1999 NY: Berkley Crime First edition, first printing, mint, new/unread, flawless dust jacket, signed by author. Each dust jacket is protected in an acid-free archival quality acetate cover. Author Signed Hardcover Book 1999 NY: Berkley First edition, first printing, fine in a fine dust jacket, signed by the author, remainder marked. Each dust jacket is protected in an acid-free archival quality acetate cover. Author Signed Hardcover Book 2003 CA: Capra Press First edition, first printing, mint, new/unread, flawless dust jacket, signed by author. Each dust jacket is protected in an acid-free archival quality acetate cover. First Edition Hardcover Book 1998 NY: Berkley Prime Crime First edition, first printing, new/unread, no dust jacket as issued. Author Signed Hardcover Book 1998 NY: Berkley Crime First edition, first printing, mint, new/unread, flawless dust jacket, signed by author. Each dust jacket is protected in an acid-free archival quality acetate cover. Author Signed Hardcover Book 1998 NY: Berkley Crime First edition, first printing, fine ion a fine dust jacket, signed by author, remainder marked. Each dust jacket is protected in an acid-free archival quality acetate cover. 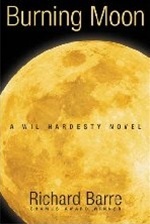 1995 NY: Walker First edition, first printing, new/unread in flawless dust jacket. Author Signed Hardcover Book 1995 NY: Walker First edition, first printing, mint, new/unread, flawless dust jacket, signed by author. Each dust jacket is protected in an acid-free archival quality acetate cover. Author Signed Hardcover Book 2003 CA: Capra Press First edition, first printing, mint, new/unread in pictorial boards (no dust jacket as issued), signed by author.